Discussion in 'The War In The Air' started by Gage, Feb 19, 2011. There are a wealth of Bomber Command recollections out there but have any of you got ones you can recommend for me? There are loads of Lancaster crews but any of the other bombers as well? They had this in my local library until they flogged it in the sale before refurbishment for about 10p, which was annoying because it wasn't me who bought it. Not strictly a recollections book but it is very good though. Thanks guys. 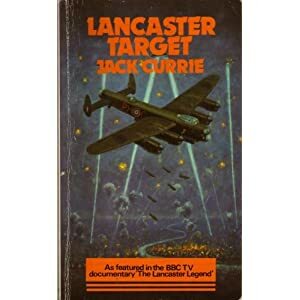 I should read the Jack Currie again as it was one of the first Bomber Command books I read. "Only Owls ands Bloody Fools Fly at Night" By Tom Sawyer. Halifax material , as far as I can recall this gent flew with 158 Squadron. The dust jacket of this 240 page hardcover book features the recent Robert Taylor painting of "G" for George. The book includes every operation flown by "G" for George, full crew lists, results of the operations, 460 Squadron and RAF losses, and relevant Luftwaffe losses of nightfighter aces on those operations. All royalties go to the refurbishment of "G" for George, which needed a great deal of attention after standing for 44 years in the Aircraft Hall at the Australian War Memorial. "G" for George was re-installed in the AWM in late 2003 as the centrepiece of an exhibition on the air war over Europe. The story of the exploits of No. 460 R.A.A.F. Heavy Bomber Squadron, R.A,F. Bomber Command in the World War. This is the intimate story of one of the great bomber squadrons of World War11. It is almost an almanac of the day to day fortunes of the airmen of 460 Squadron, R.A.A.F. who were engaged in one of the toughest battles in the history of the war. Day after day, night after night, sometimes with great success, sometimes with grievous loss, these men flew against a determined and skilled enemy, to attack targets defended by the greatest concentration of artillery, night fighters, searchlights and radar devices the world had ever known. This story is based on the experiences and impressions of individual crews recorded immediately on return from operational missions and is therefore a factual and accurate account of events as seen through the eyes and imprinted on the minds of those who were in combat with the enemy. As such it makes a valuable contribution to the history of the Bomber Offensive in the West. No 7 Bomber Squadron in World War 2. By Tom Docherty. Published by Pen & Sword. History of a Stirling and Lancaster pathfinder Sqn. I started reading an old copy of Max hastings book, Bomber Command. 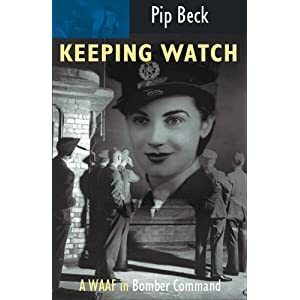 So far it is excellent reading but does show the RAF in very poor light early on for failing to introduce better navigational aids, which I suppose is quite well known. Thanks all. I'll stick Bomber Barons on my list. I know not aircrew but a great book all the same. I would like to suggest a second by Don Charlwood - No Moon Tonight. Funny that but just got a copy from E-bay. Talking of Don Charlwood how about his Twenty Men, I have this one on my list to read. As I've said me too. Haven't heard of it, mate. I haven't heard of that one, so I can't give an idea on it.